To MIG weld Dimes like a TIG welder you have to turn DOWN your voltage: (the heat) and weld colder than normal. 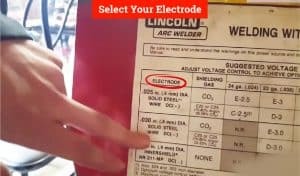 Start with your normal settings of voltage and wire speed, then turn down your machine a step or two, and adjust your wire speed to keep the “bacon sound” and avoid and popping noises. 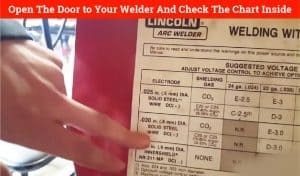 Now, since you might be brand new to welding and you want to know what is a TIG welder – then check out this explanation – and if you want a great multiprocessor machine that does TIG welding, check this out. When MIG welding using this process, it’s a bit of art and a bit of science. You’re going to be playing with your machine settings a bit, so be sure to get some scrap steel and have it cut down to size. 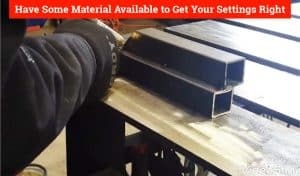 You can form any joint you want or not – but the main point is to have some material available to get your settings right. Now, if you’re using material you’ve welded before and had some specific settings you like, get your machine set to those parameters. If not, then open the door to your welder and check the chart inside- its full of the volts and wire speed you need. Select the right setting for your material and electrode your using (wire). You’re going to want to make sure the voltage and amps are at the right settings for your metal – this will be important later. 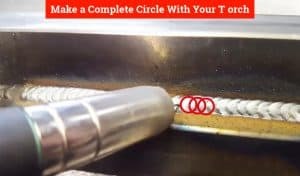 Once you’re satisfied with your weld, step down your voltage one or two steps. I would start with one step depending on your material and welder this could be 2 to 10 amps. I did mention earlier that you can use whatever technique you want because it’s not the most important thing in this process. However, I do encourage you to try different techniques to highlight your weld as much as possible. In this video, I’ll outline the exact process used. 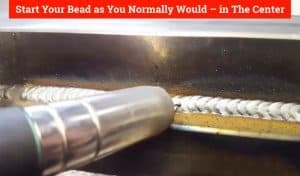 You want to start your bead as you normally would – in the center. And finishing by bringing the torch to the center of the next location on your bead, effectively moving the puddle forward. 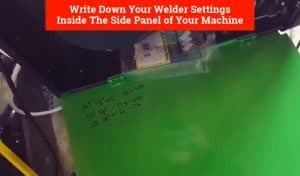 Pro tip: write down your welder settings inside the side panel of your machine – so you have your own reference chart, so you’ll always know how to stack dimes MIG welding. Now, remember, your travel speed may slow down a bit or speed up – that is going to depend on how you feel using the welder and the result that you’re getting so experiment. It’s important that you have a good grounding clamp- if not you may not be receiving steady power to your machine, and you will notice that fact with this technique, so for a few bucks, upgrade to a heavy-duty clamp. Also, a good wire will make a difference in your weld too – better equipment will help a lot here. Q: Since you are welding with a lower voltage and wire speed, how will this affect the quality of my weld? A: That’s a great question to ask. 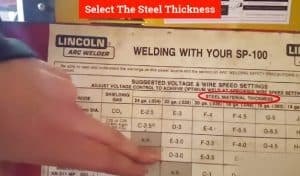 The lower voltage setting will cause you to have less penetration with your weld. How much we can only determine if cut the weld and actually see the result. So I would use this style of welding on decorative work, such that artist may create or anything that is NOT structural or load bearing. If you want a nice visual effect, this is a great style to have under your belt. Q: Why is this style popular among welders? A: Well, the short answer is this: Dimes = quality welds. Now, as a welder you know that’s not true! Quality and the strength of a weld depends on many factors and the visual aspect ties into examining for undercut and porosity. But people love the way it looks – in fact so much so that there are entire Reddit threads on the topic. So, short story… it helps to sell the product because it looks pretty and people think it’s a quality weld. Q: Are there any other concerns about welding with this style? A: Yes, in fact, it goes a bit deeper than the penetration alone. Welding MIG dimes like TIG can create a high crown. High crowns can happen more when you are running a cold welder and have a slow travel speed. Those high points can cause an accumulation of moisture or foreign elements, weakening the weld over time. Also, since it’s not a smooth weld and will not be ground down, there is more surface area- a higher chance for porosity within the weld, and that’s why I like it as a decorative weld only. 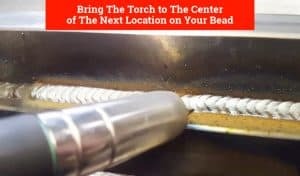 With one simple adjustment to your voltage and wire speed, it is possible to stack dimes and weld MIG like TIG. 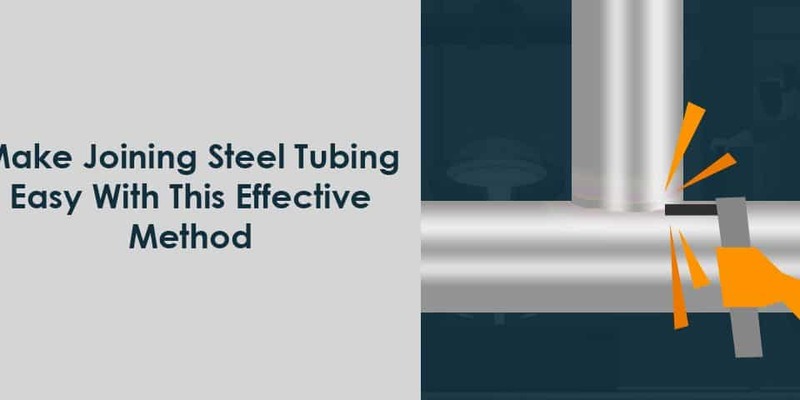 The one thing you want to keep in mind with this technique is this: it looks pretty but the penetration and overall weld quality might suffer. 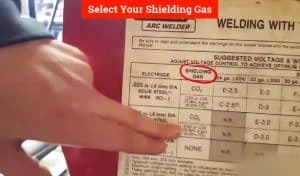 So use this technique, but only non-structural welds (it wouldn’t pass code anyway) and decretive welding jobs.